I’ve included a link to the full article that the excerpts are taken from. I’ve also included a link to the book where the article is published. 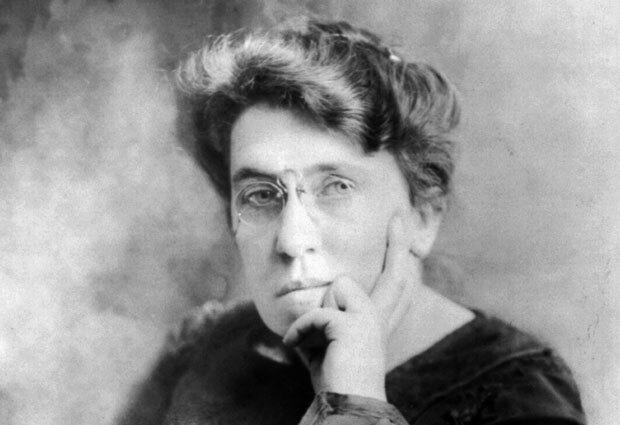 Emma Goldman (1869 – 1940) was an anarchist political activist and writer. She played a pivotal role in the development of anarchist political philosophy in North America and Europe in the first half of the 20th century. Goldman became a writer and a renowned lecturer on anarchist philosophy, women's rights, and social issues. She was also part of a plan to assassinate industrialist Henry Clay Frick as an act of ‘propaganda of the deed’. Goldman was imprisoned several times for "inciting to riot" and illegally distributing information about birth control. In 1906, Goldman founded the anarchist journal Mother Earth. Her writing and lectures spanned a wide variety of issues. The following are extensive excerpts from an article she wrote on atheism.